We are obligated to mention here that the season is very long, and that it is still April, though it felt like summer on Friday, as soon as the Mets left town. Yet it was not easy to see this coming. The Mets admirably claimed a wild card last summer despite a merciless string of injuries. The Yankees traded veterans and made a stronger commitment to youth than they had in decades. 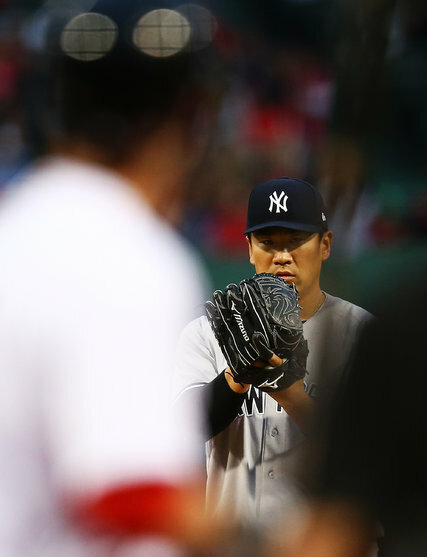 Masahiro Tanaka has been the Yankees’ ace in the first month of the season. The Mets were the team of today, the Yankees the team of tomorrow. It was a convenient story line rooted in the expectations of the teams’ front offices — but, of course, there was room for surprises. What if, for example, the Mets just kept getting hurt? What if their offense became the worst version of itself, helpless to do anything but hit home runs? And what if the Yankees’ veteran position players started strong while the younger ones thrived? What if the shaky rotation was sturdy enough to keep the dominant bullpen fresh?